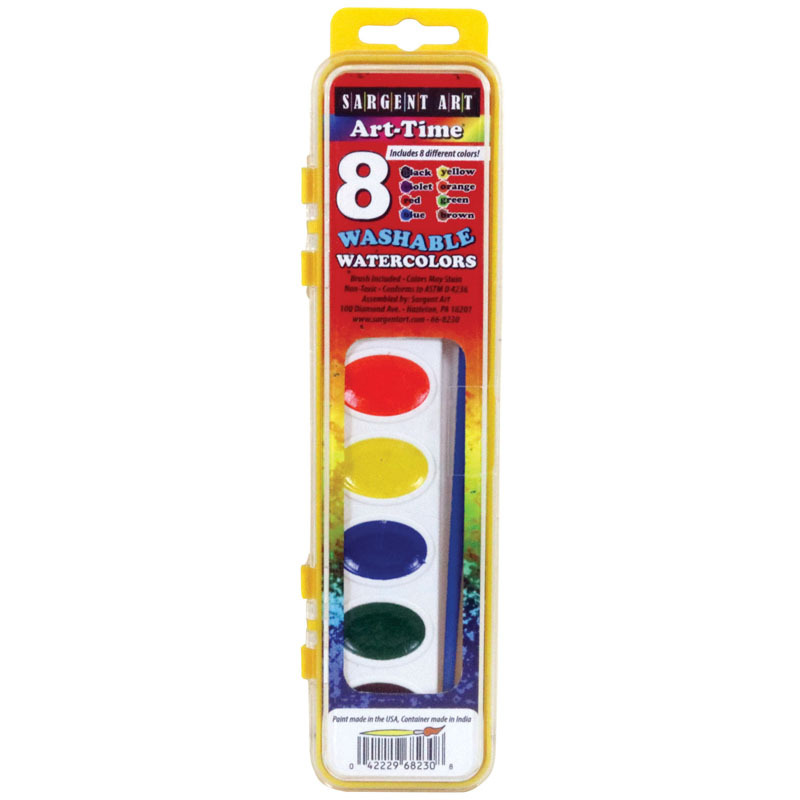 Art-Time Watercolor 8-Color Set features vibrant colors that lift easily with the touch of a brush and blend together beautifully. Non-toxic and AP Certified. 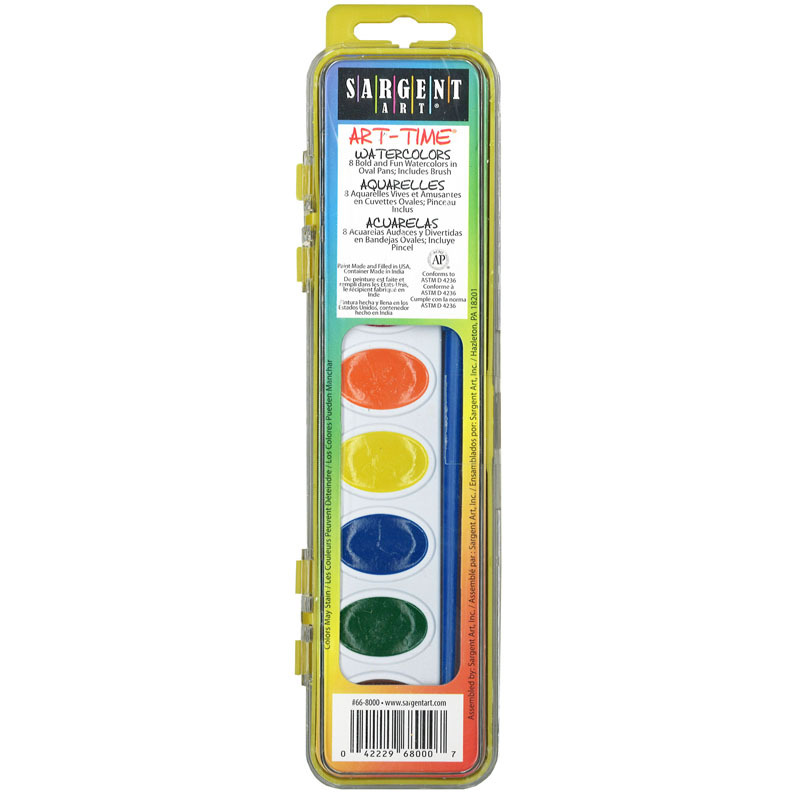 Paint made and filled in the USA. 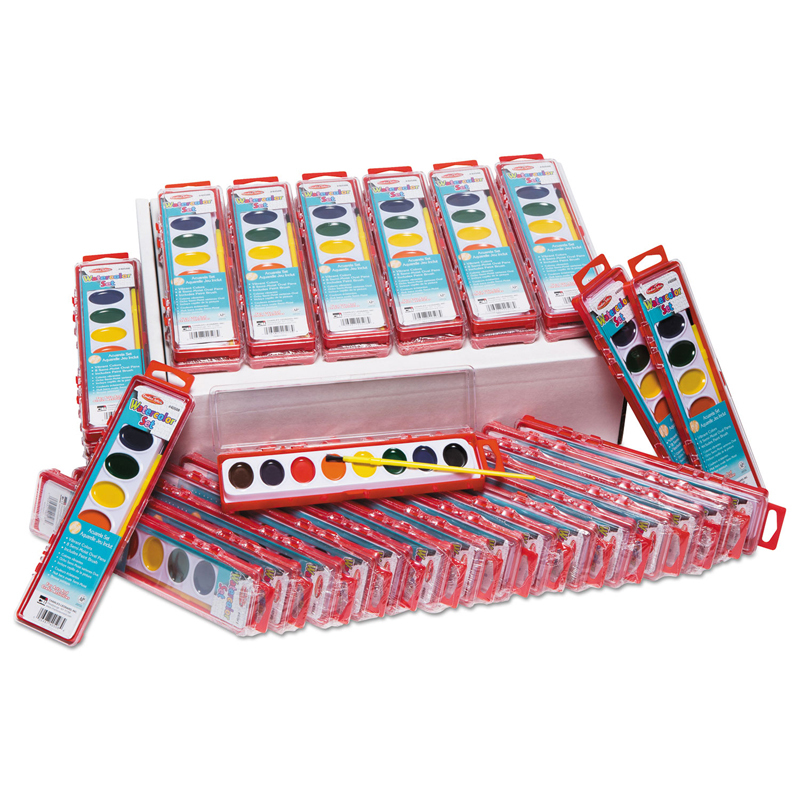 Each set includes 8 colors (yellow, orange, red, violet, blue, green, black, and brown) and a brush. 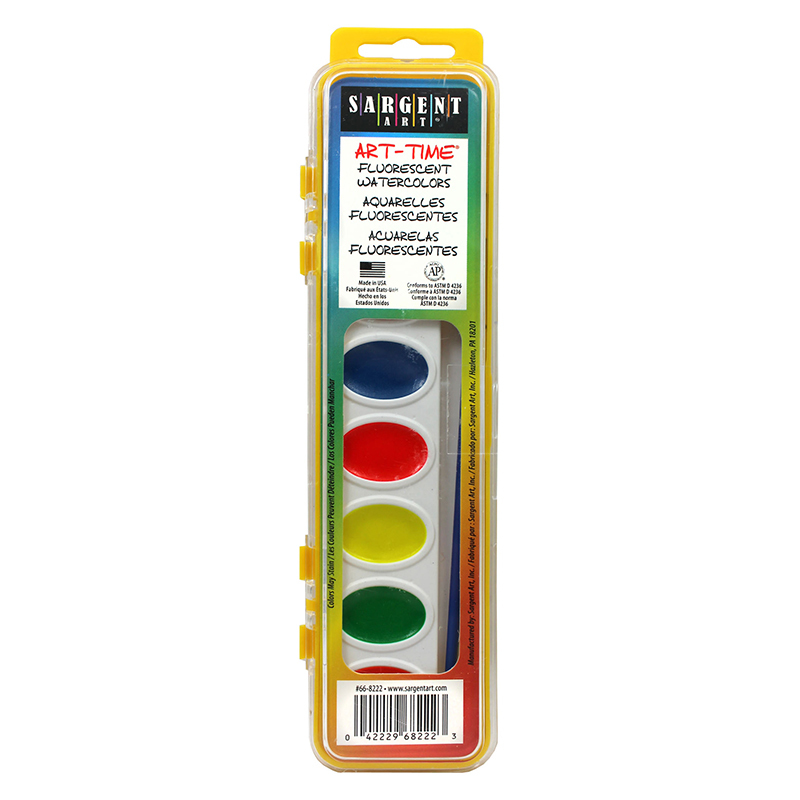 The 8 Semi Moist Watercolor Set can be found in our Paint product category within the Arts & Crafts.